Never waste a good Saturday they say, especially if you live in Ireland and yearn for the outdoors. In this country, days free of rain, low cloud, and personal commitments can be rare enough, but when the sun is blazing, the daylight hours are long, and there’s a promising forecast, the possibilities are endless. So it was on a May morning earlier this summer. Having undertaken the High Point Ireland Peakhunter Challenge in January and in the meantime slowly ticked off a succession of mostly small hills in and around the midlands, I was keen to return to the Mournes, probably my favourite mountain range of them all. Its combination of sturdy granite peaks and delightful sea vistas is unbeatable. 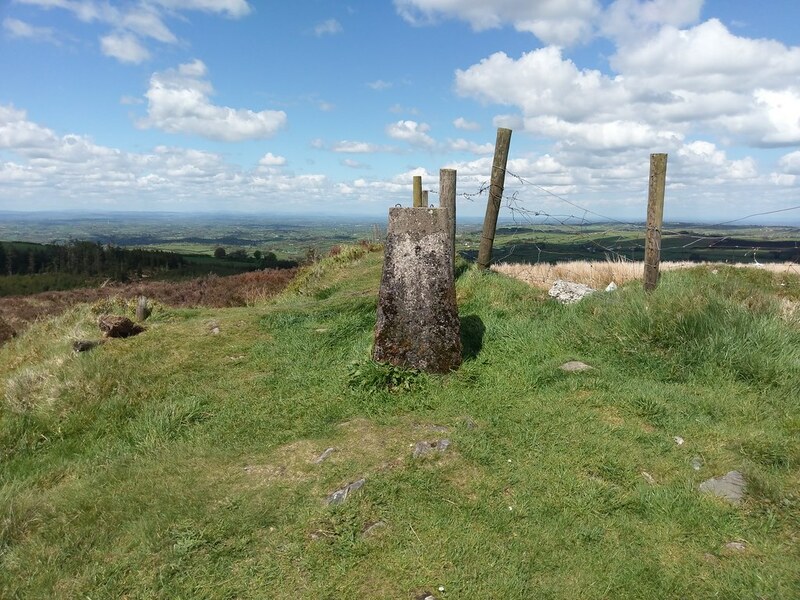 Despite a later than normal start I was in no hurry and detoured en route towards Carrigatuke, a lesser-known location on the Gribbon list of Ireland’s major geographical High Points near Newtownhamilton, Co. Armagh. I had read online that it’s possible to drive to right to the summit itself, so it was going to be quick and what was there to lose? My car satnav brought me to an attractive high country road with what was obviously the summit area in view to my right. I turned off up a narrow lane uphill, and drove through a mile or two of thick conifer woods before reaching the open summit. 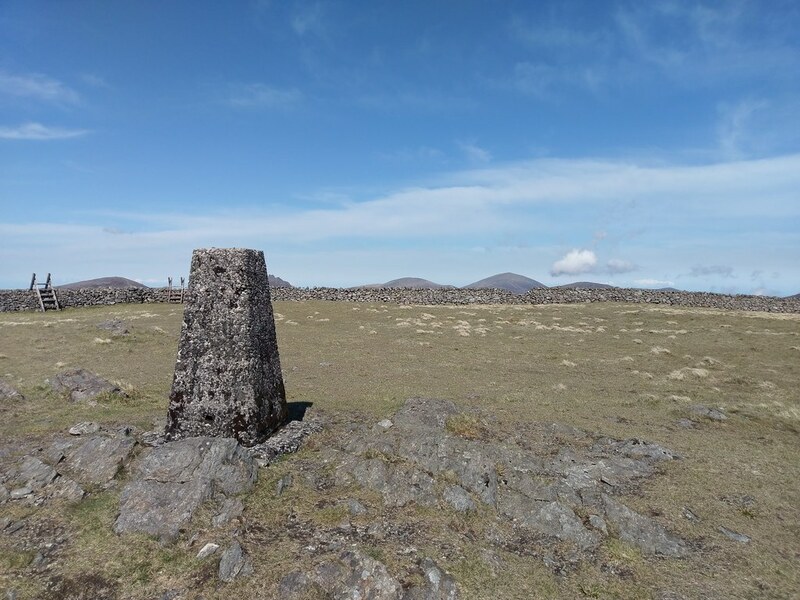 Carrigatuke’s summit boasted a large tarred area, obviously a popular picnic spot, a few masts and a trig point sat almost as an afterthought on a grassy rise at the edge of fenced-off moorland. The views were extensive and beautiful and easily justified the detour. From there it was the road towards Newry and on to the Mournes where my initial target was Slieve Muck, another one from High Point lists and somewhere I’d never previously visited. 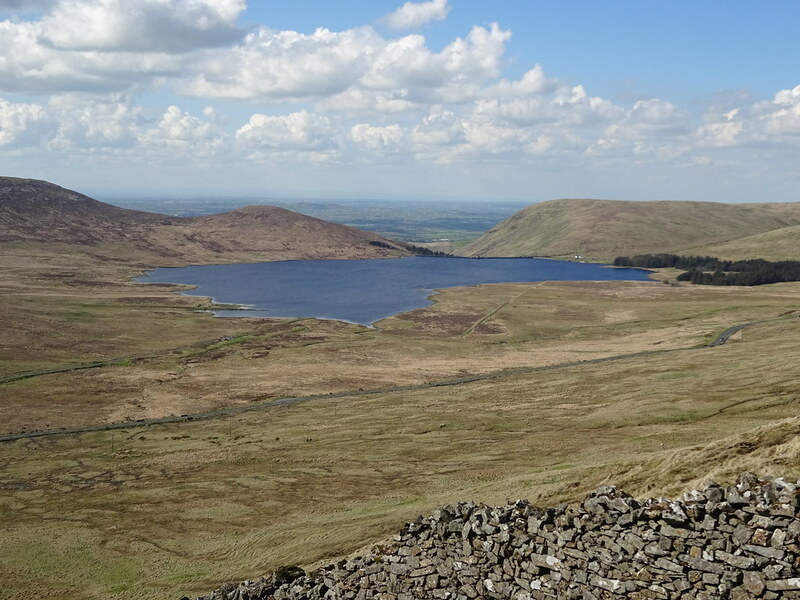 I parked just south of the Spelga Dam, where Batts Wall extends from the roadside towards Slieve Muck’s summit. The walk uphill was straightforward and pleasant even allowing for a few isolated wet spots, more than compensated by the views behind over Spelga and the Western Mournes. 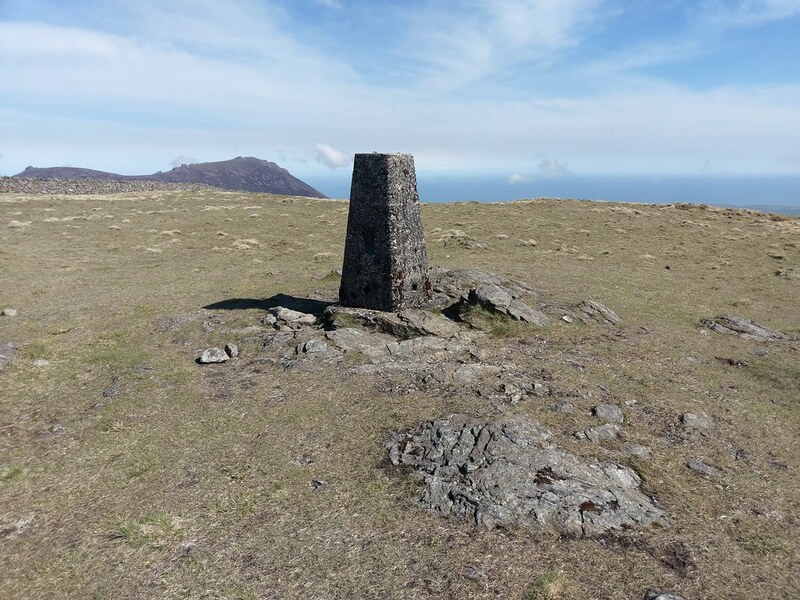 Slieve Muck’s summit was a revelation, a sun-drenched grassy plain marked by a trig point beyond which sat beautiful Slieve Binnian and the blue-green Irish Sea. To my left was the equally pleasing dry stone wall over which peeped several faraway granite peaks, with Meelbeg, Bearnagh, Commedagh and Donard all sparkling. The views if anything improved as I crossed the stile over the wall and headed downhill along the Mourne Wall. My destination was Doan, the small cone-shaped peak standing over the Ben Crom reservoir. 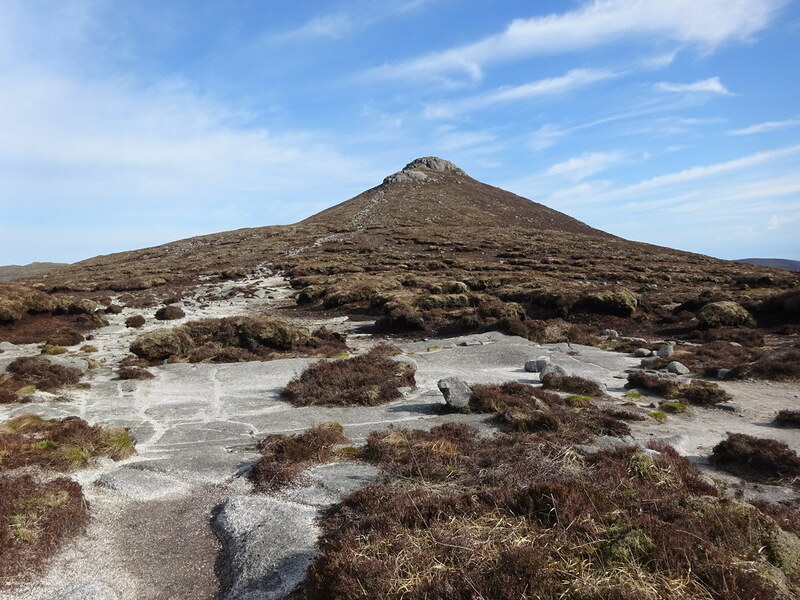 After reaching the summit of aptly-named Carn Mountain, I turned to the right near the foot of Slieve Loughshannagh and proceeded over a reasonably well-defined track and some thankfully dry peat hags to ascend Doan. The summit views from Doan in all directions were magical, and the absence of even the slightest breeze meant it was a delight to linger. The descent from Doan back to my car was long but pleasant and the dry conditions meant I could take an extended short cut over trackless rough ground between Ott Mountain and Slieve Muck. With the evening sun still high in the sky, I decided on yet another detour before home and headed for Slieve Croob the Dromara Hills northwest of Castlewellan. 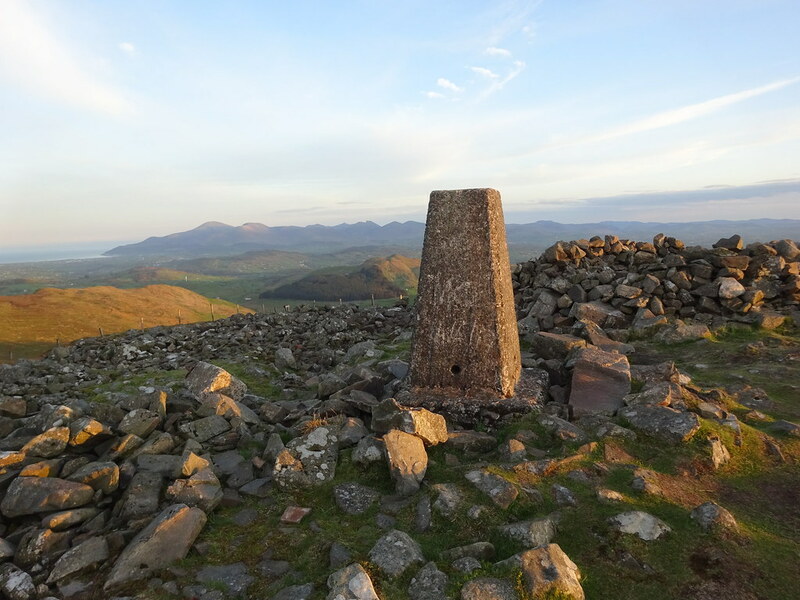 I found this a lovely location and a lovely walk, approximately a mile up a narrow tarred road through sheep pastures to the pleasant summit where there are incredible views of the Mournes and the surrounding countryside. Chatting on the descent to a young family from Belfast, I forgot to seek out the source of the River Lagan but that will be an excuse for another trip. Although it was late when I returned to my car, the long drive back to Cavan never seemed as short. By any measure, this particular Saturday was most certainly not wasted.